It's no secret that Phoenix can get quite hot, with the average temperature being more than100 degrees in the summer. But heat never stopped a city from looking good! You can bring this impressive citywide view to your dorm walls with our Phoenix, Arizona - Panorama. College wall decor is an essential part of your dorm room supplies, and if you want your dorm room to take on some character, you'll need college decorations. 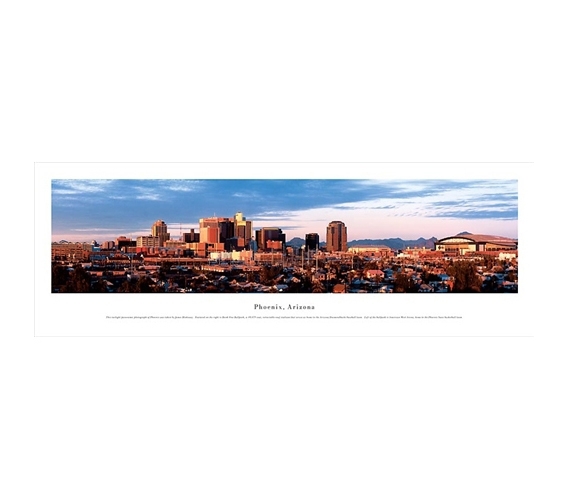 Since panoramas for college bring much-needed color to your dorm walls, they're ideal wall decorations for college. Panoramas do more than just bring color, however. They can be inspiring! 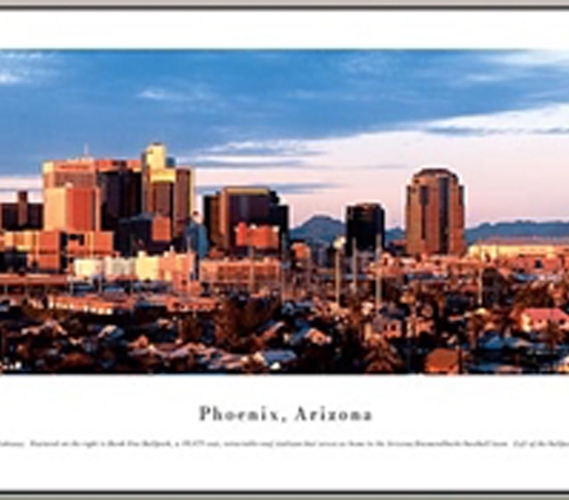 Perhaps you've always wanted to travel to Phoenix or you're from there yourself. Either way, you'll have a nice visual reminder right on your dorm room wall. Decorations for college dorms can truly do more than just make your dorm room look cool, especially if they have some meaning behind them. So bring a panorama or two for those bare dorm walls; they're the kind of college items that will turn heads!